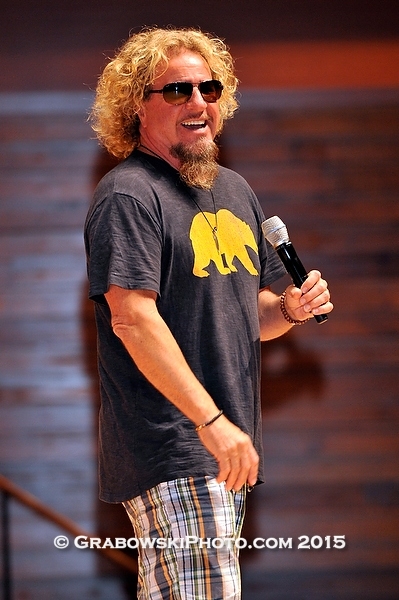 Sammy Hagar, known as the Red Rocker, is currently out on a book tour for his "Are We Having Any Fun Yet? "; The Cooking and Partying Handbook by HarperCollins. He made a stop in Naperville, IL. on September 17, 2015 for a book signing and Q&A event hosted by Anderson's Bookshop at Wentz Hall, on the campus of North Central College. 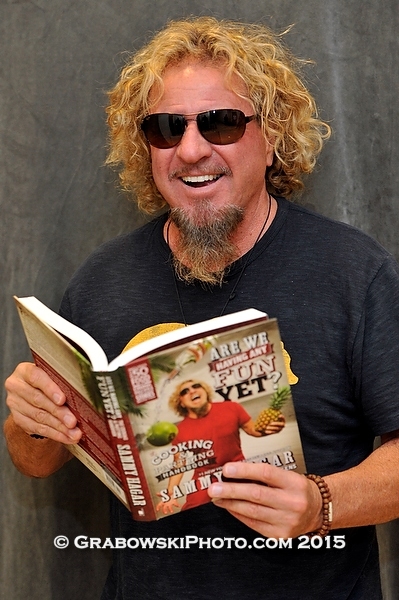 Sammy Hagar has belted out hit after hit for more than 40 years and now shares his favorite food and drink recipes in his latest book,"Are We Having Any Fun Yet?". Check out some of the great photos by our photographer Rob Grabowski. For almost forty years, Sammy Hagar has been one of rock music's most dynamic and prolific artists. From breaking into the industry with the seminal hard rock band Montrose to his multiplatinum solo career to his ride as the front man of Van Halen, the “Red Rocker” has set the tone for some of the greatest rock anthems ever written with songs like "I Can't Drive 55," "Right Now," and "Why Can't This Be Love." He’s earned the highest respect of the music industry with a Grammy Award and induction into the Rock and Roll Hall of Fame alongside Van Halen and is currently on his fourth platinum run with the super group Chickenfoot. 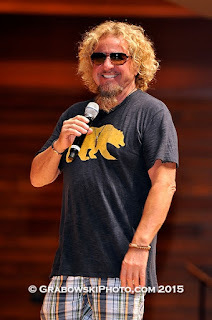 Along his journey, Hagar has also become adedicated philanthropist, a New York Times best-selling author and auspicious entrepreneur. Read More. Indulge yourself in the superstar rocker and #1 New York Times bestselling author’s raucous and delicious lifestyle with this bold cookbook and entertaining guide, complete with stories from a lifetime of food, signature recipes and drinks, and featuring lavish full-color photos. 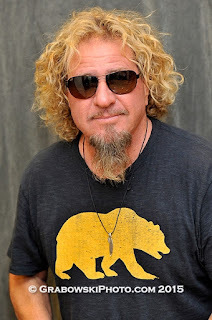 For over twenty years, Sammy Hagar has redefined the relationship between good food and good music through his iconic Cabo Wabo tequila brand, his popular chain of Cabo Wabo Cantina restaurants, and his newly launched rum—Sammy’s Beach Bar Rum. Now with Are We Having Any Fun Yet? any Sammy fan can eat, drink, and party like the Red Rocker himself, as Sammy shares his love of food, drinks, and rock-and-roll. Bringing you into the kitchen, behind the bar, and into the center of the party like never before, Sammy shares his deep passion for food and his secrets for rock-and-roll entertaining, including his favorite recipes from home, on the road, and his go-to vacation spots, Cabo and Maui. Coming along for the ride are a wealth of crazy tales, celebrity chefs from around the globe, and stories that reveal the inspiration behind his favorite recipes. Tracing Sammy’s culinary path through the decades, Are We Having Any Fun Yet? 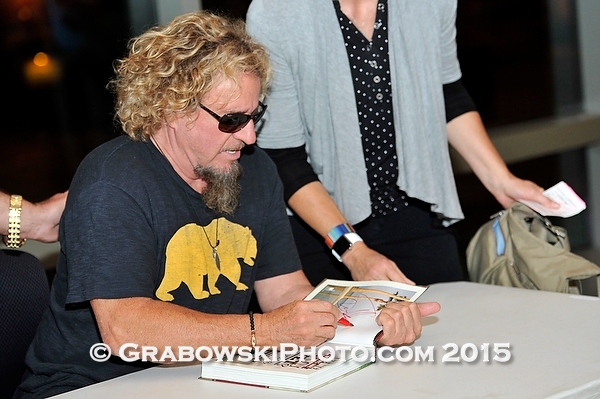 offers a fascinating glimpse into Sammy’s evolution as a cook and as a musician, showing how these twin passions have fueled each other, and how he brings a rock star attitude of simplicity and fun to everything he does in the kitchen. Of course, nothing goes better with a great meal than a good drink. Here are Sammy’s greatest drink recipes accompanied by true stories of the wild nights that brought them to life. With even more rock stories from the road and his table, over fifty food and drink recipes, and Sammy’s tips for entertaining like a rock star, Are We Having Any Fun Yet? gives fans everything they need to party the Cabo Wabo way.